What is a caregiver registry? The purpose of a caregiver registry is to create a professional and safe market that allows senior citizens needing in-home care and caregivers to find each other. The registry acts as an intermediary between the client and the caregiver. Is SSPS licensed by the appropriate government agencies? 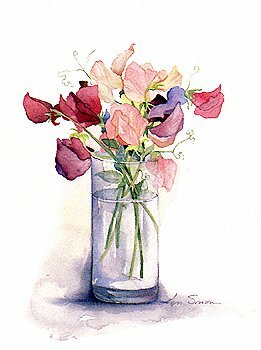 Yes, Sweet Pea Senior Services are licensed by the appropriate state agency/agencies. In Texas, the Texas Department of Aging and Disability Services issue the required licenses. Who is responsible for taxes? SPSS will record the caregiver's compensation and issue the proper tax form(s) to caregivers on behalf of the client. Note: the client is not responsible for the contractors' taxes. How are caregivers selected to be on the registry? There is an initial screening and interview over the phone. During the registration process, the caregiver completes all required paperwork and the registry does a thorough state-wide criminal background screening. If the caregiver is new to the state then a criminal background check is also done in the previous state of residence. State mandated registry checks are also done on each caregiver and references are verified and checked. SPSS also screens for copies of their driver's license, social security card and/or green card to verify that they are eligible to work. These records are up-dated annually. Will I always have the same caregiver? Yes, this is your choice. If the caregiver on our registry is a good fit for you and the arrangement also works for the caregiver, SPSS does not interfere in this working relationship. If your caregiver is unable to provide services on a given day, SPSS and the caregiver will work very hard to find a suitable substitute that meets your requirements. Do the caregivers on your registry only provide services in private residences? The caregivers are happy to provide their services in any environment that makes you feel safe and secure. They can provide services in your own home, a family member's home, a hospital, assisted living facility, retirement facility, rehab or a health care facility. Will my long-term care insurance cover the caregiver's services? In most cases, long term care insurance does reimburse you for the caregiver's services. We will be happy to work with you and your insurance company in this process. Yes, Sweet Pea Senior Services has a client-directed consent and agreement for services form that needs to be signed before the caregiver can provide services. Can I make changes after I signed the agreement? Of course you can. Just make arrangements with your caregiver and then let us know. You choose the hours you need and the schedule that fits your lifestyle. You can schedule your caregiver for a few hours a day, a couple of times a week or for twenty four hours a day, seven days a week. Again, this is your choice. What if i don't like the caregiver? We understand that sometimes people just don't match-up and are not able to develop a working relationship. You have the right to ultimate quality control. You retain the unqualified right to obtain a replacement referral from us without an explanation. Clients are invoiced weekly and payment is made weekly. Single payments can be made to SPSS and disbursements of all funds to the caregivers on our registry will be our responsibility. Detailed financial records are maintained on all client payments and disbursements of all funds. Ask us how we can provide experienced, loving care, for your family! Contact Us Now With Your Questions or Get Started Now!